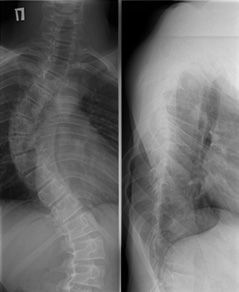 Scoliosis of the fourth degree. Trully there are no helpless situations in Sheba. This story began about two years ago, when 11-year-old Rodion Garbunia was diagnosed with fourth degree Scoliosis. Experts doctors in his native city of Sochi, Moscow and St. Petersburg wrote: "Fourth degree Scoliosis is incurable. If you want to have surgery, please, but the boy will remain disabled…." The situation was hopeless. The boy has been offered to spend the rest of his life in a wheelchair. Certainly, the operation, which planned to take place in Moscow, would release Rodion from intolerable pain and respiratory failure, as the deformed spine has squeezed the lungs and heart. But what could the boy do with a desire to be like everyone else, just to walk through beloved Sochi, to play basketball, and be independent? Rodion was told to forget all these simple enjoyments of life. The salvation began in August 2010, when his parents appealed for help to the Sheba Hospital. Medical consultant Eden contacted the Gabunia family half an hour after Sheba received the request for assistance. A day later, a plan for surgery to correct scoliosis was made. The boy have been promised to straighten his back and completely restore musculoskeletal function. It was difficult for both parents and Rodion to believe what they heard. But the professional response of the medical consultant was so convincing, that the Gabunia family agreed to travel to Israel. The operation was carried out in February of 2011, when parents succeeded to collect the necessary sum of money. They got financial help from the citizens of Sochi and Rodion's school. All these 5 months of waiting for the surgery, the family Gabunia was not alone: Eden (medical consultant from Sheba Hospital) cheered Garbunia family in every phone conversation, talking about the benefits of surgery, the high technology used in its implementation and the vast experience of the surgeon, whose will perform this surgery. Rodions parents, Eden Gerber-Med. consultant. It was scary to go to such adistant country, but all anxiety vanished as soon as the medical coordinator Rima and the Head of Department of Spinal Surgery Dr. Friedlander met with the family as a long-awaited guests. The operation lasted over six hours . Everything had happened as planned. Rodion successfully underwent surgery without any complications and was discharged from hospital 4 days later. The boy got to his feet, pain did not bother him anymore, and his surgeon, Dr. Friedlander is sure that Rodion will play basketball very soon!